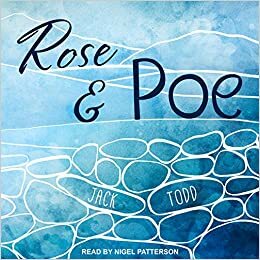 If you’ve read Shakespeare’s The Tempest, this may be a familiar story to you, but if not, imagine a Grimm fairy tale crossed with a contemporary crime novel, and you have Todd’s beautifully written tale, Rose & Poe. At first, we’re introduced to Rose, the single and fiercely devoted mother of Poe, the simple minded, gentle giant who works hard to please others- especially Miranda, the lovely daughter of Thorne. Then we’re introduced to a series of other characters from the small fictional setting of Belle Coeur County (set in New England), including Thorne (aka Mister Sir Mister), a possessive father who is slowly losing his mind to dementia; Airmail, the skeezy speedster courier who has his nose in everybody’s business: and Skeeter and Moe, two young boys who think they are tracking Sasquatch (aka Sasquank). Each character’s individual stories develop and become intertwined with Poe. Though he lives a rather sheltered life, everyone in the area knows who he is. He’s kind of hard to miss, being somewhere between eight and nine feet tall and seven hundred pounds, six fingered and six toed, with a size eighteen shoe and signature Oshkosh’b’Gosh overalls. Though simple minded, he’s been raised in the small town by a loving mother and taught to be a kind, hard working citizen. Yet, many don’t accept his social limitations and therefore ostracize him, and though his mother has protected him from as much as possible, there are still experiences that Poe suffered through just because he was different. With no one willing to defend him, Rose has always come to his rescue. The one night, Rose’s worst nightmare happens- Poe gets into a situation that Rose can’t get him out of. She knows he is innocent and wouldn’t harm a fly, but with little evidence to prove otherwise, Poe is in serious danger of being committed for a serious crime. Even with Rose doing all she can from him, nobody is willing to give him the benefit of the doubt, and being a pariah already, they don’t care to wait for the trial to have Poe hanged. Todd keeps his readers at the edge of their seat awaiting the final word on Poe’s predicament. I actually got this novel from an Instagram giveaway from Megan at whatmeganreads and ecwpress.com. I probably wouldn’t have picked it out for myself, but Megan loved it, posted a rave review, and since we have similar tastes in books, I thought why not see if I could win a copy! I was pretty surprised, but super excited, that I won it because it is such a great book. Also, I was surprised to see many Vermont references, including the county that I grew up in! Small world, coincidence, or fate that I should end up with this book? Who knows. Anyways… there’s no sugar coating in Rose & Poe, so the reader becomes very empathetic to the main duo. Todd builds this honest and fierce relationship between the characters and reader from the start, and it’s hard not to become involved in the novel. I, too, give it a seal of approval, and suggest you give it a shot- you won’t be disappointed. Great review!! I’ve never looked at this genre too much before, but I think I’ll look into Rose and Poe!